When Will I Have a Full Zoysia Lawn? 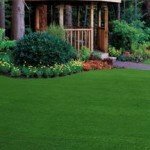 When establishing a zoysia lawn from plugs the length of time it takes for the plugs to completely fill and produce a full lawn depends on several factors. to plant the plugs closer together. It is not recommended to place the plugs any further apart than one plug per square foot. You can plant the plugs as close together as you like. The closer the plugs are planted the quicker the area will fill in. You can also cut the plugs larger in size, this can help the area to fill in sooner. 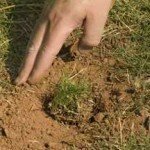 Keep in mind that Amazoy zoysia grass only spreads from the edges so you may not want to make the plugs any larger than 3×3 inches and a minimum of 1×1 inch. Another factor is the type of soil you are planting in. Even though Amazoy zoysia grass will grow in any type of soil, it can make a difference in the fill in time. If you have a soft sandy or loam type soil the plugs will spread more quickly. 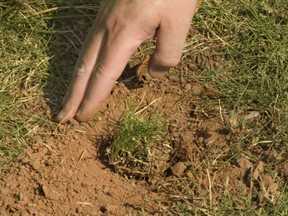 If you have a dense soil, like clay or rocky soil, it will take the plugs longer to spread. In most states you still have time to get the plugs planted this year. By planting them now, they will have time to take a good roothold and green up before the colder weather moves in. Then when spring is here the plugs will already be established in their new home and will start to spread. 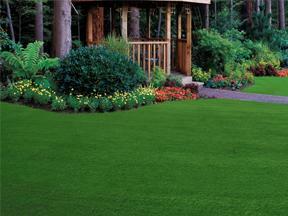 Remember, the sooner you plant the plugs the sooner you will be able to enjoy a full, beautiful lawn.